The Alfa Romeo 105/115 series coupes just look right. They have the right proportions. They have the right stance. They have right amount of everything. They look, feel, sound, and drive like a perfectly balanced machine. These are one of those cars that everyone usually speaks of with fondness in their voice. They make you want to enjoy vintage motoring. They are alluring vehicles and truly one of those “gateway drugs” into the world of classic car collecting. Once the motor and transmission work was completed on April 15th, 2005, this owner kept a log of all the trips he took and miles on the motor (see pic) until he sold it. The recent owner purchased the car from this Washington owner on September 9th, 2010. 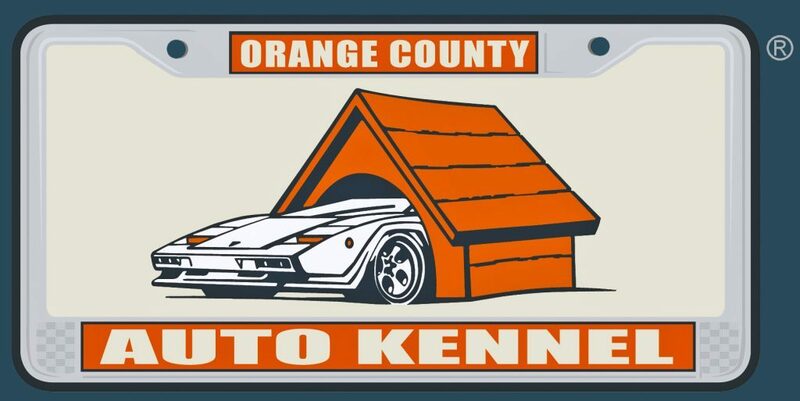 He is a long time Orange County vintage car enthusiast who I’ve known for nearly 20-years. Although most of his experience was with German cars, he has always been interested in owning a GTV. He searched for the right example for quite some time. He wanted to avoid a project as he already had plenty of those. Once he found this car, he had a local Alfa specialist in the Washington area visit the seller and go through a 50-point checklist the buyer provided him with. The inspection went very well as the inspector found the car to be a solid example with no major issues. The exterior was painted over 20-years ago. It was a remarkable job as it shows very few signs of wear. It was obviously a glass out higher level job. There are minimal signs of use and very few imperfections. On the driver side near the lower wheel wells are some small bubbles in the paint (see pics). They have not changed in over a decade and are due to contaminants during paint prep. The metal behind the panel is solid with no signs of corrosion. The quadrifoglio fender decals are vinyl and can easily be removed. The panel fitment is quite good. The passenger door could fit better with some adjustment and installation of the new rubber door seals included. The GTA-style 15” wheels are in perfect condition and are wrapped in Dunlop tires with near full tread. Although they are older, there are no signs of age. The brakes are fresh as well. All the glass looks great with no chips or cracks. The original bumpers with turn signals have been removed for a more aggressive look. They are in excellent condition and included with the sale (see pic). The interior looks equally as nice and well preserved. The driver seat is a period-correct Recaro-style sport seat while the passenger seat is stock. Both have been recently recovered and have no tears or rips. The door panels, carpet, and headliner all are in very good condition with no major blemishes. The dash has a couple typical cracks (see pics). All the gauges operate properly as do the all the lights. The dealer installed radio does power up and makes some sound, but needs an antennae for proper use. This GTV is a high level driver. If it sits for days/weeks, it needs a little coaxing to start, as it’s a bit cold blooded. However, once it starts, it holds a nice idle and revs easily. The power feels strong with no hesitation as it climbs through the RPMs. The steering is light and nimble with sharp turn in. It drives straight with no pulling. The brakes work great with strong initial bite and no fading. The 5-speed shifts smoothly with no grinding or clutch slipping. This example would be ideal for one of the many local vintage touring events that keep popping up and a welcome addition to any enthusiasts collection. California registration is paid through September of 2019. Included with this Alfa are the original bumpers with all the turn signals, over riders with hardware, original grill, new door seals (to help correct door fitment), 3-ring binder with all recent service work (over 15-years), owner’s manual, original spare, car cover, spare stock seat, fresh set of brake rotors, and other miscellaneous small parts.